Starboy has been very concerned that without a Christmas tree, there will be no Santa. He is worried that Santa will not come to Grandma and Grandpa's house unless they have a tree as well. He has been very helpful in that excited way that just slows you down and it's all very cute. 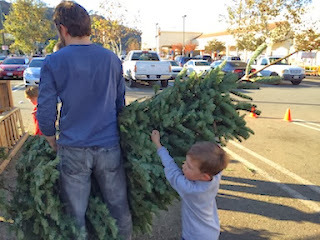 He insisted on helping carry the tree to the baling area, and was oblivious to the fact that Techman nearly knocked him over with it a couple of times. 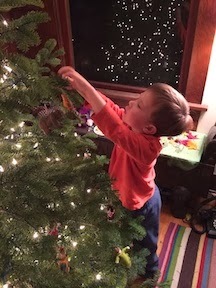 There wasn't time for full decorations, but Starboy was able to put on his wooden animal ornaments before bedtime, once the lights were up. 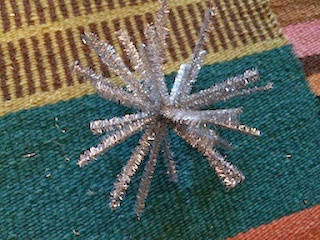 I tried to lure him away from Techman's lighting mission with a snow star project for a tree in the front yard. It kept him engaged for about four minutes, and between us we have two stars to show for it. 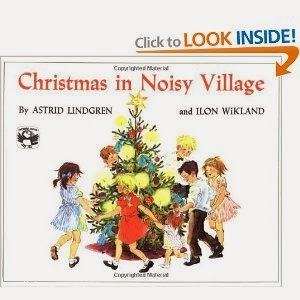 Today's books are both new to me: "Christmas in Noisy Village" by Astrid Lindgren, which is lovely. Highlights several Swedish holiday traditions. And "How Santa Claus Had a Long and Difficult Journey Delivering His Presents," by Fernando Krahn. 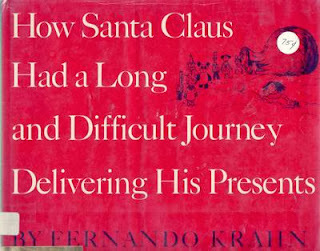 This is a funny story with no words about how Santa gets ditched by his reindeer and has to find alternate ways to get his sleigh flying. 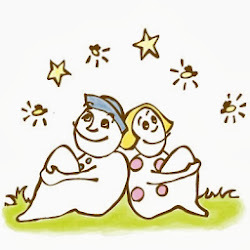 A happy ending, and cute pictures that made Starboy laugh out loud.